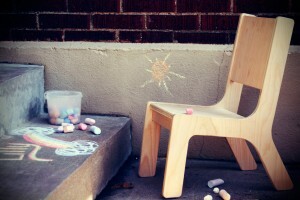 The Aero Chair is built for little ones but that doesn’t mean that it has to look like it. The design is modern and stylish and will fit into any room in the house. 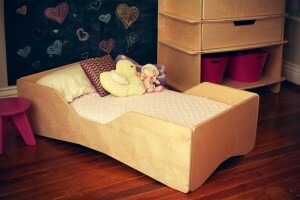 It is also built like real furniture that can withstand the demands of excited little ones. All of the coziness without all of the chemicals! This toddler bed sits low to the ground so that it is easy to get in and out. The sides are above the mattress just enough to keep little ones in the bed while not being so high that they feel like they are back in the crib. This kids table and chairs set will give kids a chance to have a place of their own even in the living room and still blend in with all of the other furniture. 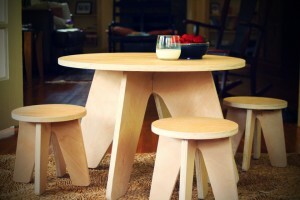 The table and stools are built with all Birch wood. And, it is finished with our non-toxic water based finishes which means there is no harmful off-gassing.